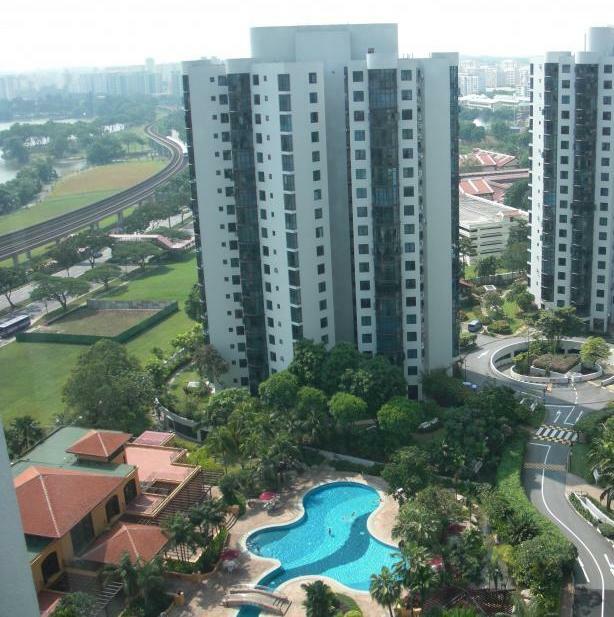 Parc Oasis is a 99 year old leasehold condominium located at 35, Jurong East Avenue 1, Singapore 609774. 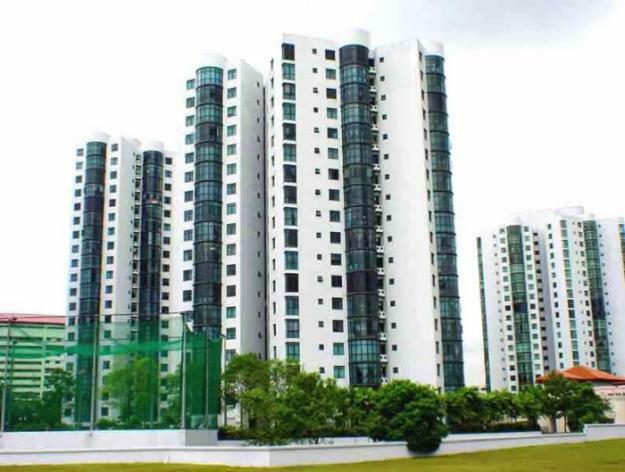 It is completed in 1995 by Marcobilt Developers Pte Ltd. It comprises of a total of 950 units: 2-Bedrooms (100 - 100 sqm), 3-Bedrooms (114 - 154 sqm), 4-Bedrooms (140 - 164 sqm) and Studio (59 - 71 sqm). It has full condominium facilities including: basement car park, 24 hours security, swimming pool, BBQ pits, gym, tennis and squash courts, jogging track, putting green, sauna, clubhouse, and playground. Experience a new level of indulgences here with many of its fabulous facilities for you to recharge, rejuvenate and refresh you mind, body and soul. Here you can ease away the tiredness accumulated and seek inner serenity. Nothing spells elegance like Parc Oasis. Experience a new level of indulgences here with unparalleled qualities and comfort that greet you everywhere you turn within this lavish premises. There is a fabulous holistic selection of facilities for you to recharge, rejuvenate and refresh you mind, body and soul. Here you can ease away the tiredness accumulated, immerse you mind and body in complete relaxation and seek inner serenity right in the comfort of home grounds. In a class of its own, Parc Oasis, it is favorably located within the proximity of major roads and public transport. It is located at 35, Jurong East Avenue 1, Singapore 609774. The nearest Mrt stations is Chinese Garden Station which is 0.26 km away. Other nearby Mrt stations are Lakeside and Jurong East station. There are several bus services available here. Major expressways like AYE and PIE allow you to reach Orchard shopping district and CBD within 20 minutes. It is seamlessly and conveniently connected to every part of Singapore making it so hassle free for you to travel to work or play. Residents of Parc Oasis can head to nearby malls such as Clementi Mall, IMM, West Mall, Jurong Point, Westgate, Jcube, West Mall and many more malls to shop, fine dining, catch a movie, banking and grocery shopping. For more shopping options, you can head down to the rest of Orchard shopping district and Marina Bay District which is within 20 minutes’ drive away. Foodies can head towards the famous eateries and restaurants along Jurong East Street, Bukit Batok Central and over at Jurong East Central. If you like hawker food, the nearest hawker centers are at Yuhua Market & Hawker Centre, Jurong East Delights, Taman Jurong Market and Food Center and Teban Gardens Food Centre. The nearest supermarkets are NTUC Fairprice Supermarket at 150 Jurong East Avenue 1, Prime Supermarket at Block 159 Bukit Batok Street 11 and Giant Supermarket at IMM. There are many recreational facilities include Yu Hua Community Centre, Hong Kah West Community Club, Bukit Batok Community Library, Chinese Garden, Japanese Garden, Jurong country Club, Jurong Park, Science Centre and Jurong Golf course. Over here, you can indulge in food and retail therapies as the slew of amenities are just a stone’s throw away. The bountiful mix of entertainment around you will definitely uplift your spirit. With an enviable location near the city and surrounded by huge range of amenities, you are never far from things you adore. The primary educational institutions around include Yu Hua Primary School, Fu Hua Primary School, Jurong Primary School, Princess Elizabeth Primary School and Shuqun Primary School. The Secondary Schools in the neighborhood include Shuqun Secondary School, Bukit Batok Secondary School, Fu Hua Secondary School, Hong Kah Secondary School, Yu Hua Secondary School and Hua Yi Secondary School. Tertiary Educational institution around are Jurong Junior College, National Technological University and National University Singapore. For medical consult, you can head to the nearby General Practitioner Clinics, Jurong Polyclinic, West Point Hospital, Jurong Hospital and National University Hospital in the area to provide specialist healthcare services for the residents. 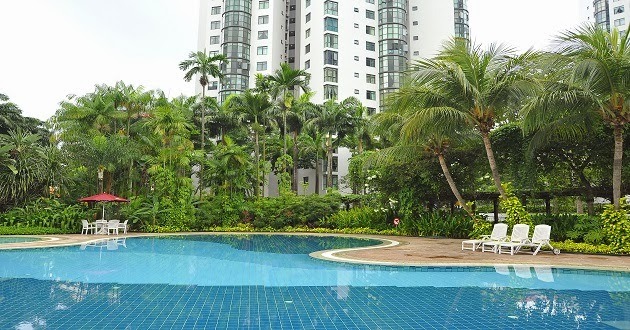 Parc Oasis is a serene condominium located in the bustling Jurong East district with many amenities in the neighborhood. Living here in this urban sanctuary reflects the ultimate dream that make any other possession secondary. It is definitely a true work, play and live nature retreat after a long day at work. Here, you can live your life according to your own rules. Right here, you can find equilibrium and tranquility and get fully recharged for new challenges ahead. It is indeed a perfect dream home for everyone.